As the forces of gravity continue to pull our facial structures south, there are many safe and relatively painless procedures that can be done to maintain a youthful appearance. A rigorous skin care system can be combined with injectables to help fill facial lines and wrinkles. Dr. Olson's skilled skin care expert, Marie Barbuto, is uniquely qualified with knowledge and experience in state of the art aesthetic practices as well as a caring, supportive approach to patient care. A registered nurse licensed in both New York and New Jersey, Marie is board certified and a member of the Academy of Micropigmentation and the Society of Permanent Cosmetic Professionals. She is affiliated with the Association of Plastic Surgical Nurses, Dermatological Nurses Association and the Nurses Service Organization. Contact the office of Dr. Olson today to schedule an in-person consultations and custom-tailored skin revitalization schedule. Botox® injections erase wrinkles and relax muscles in specific facial areas such as vertical forehead frown creases and crow's-feet around the eyes. 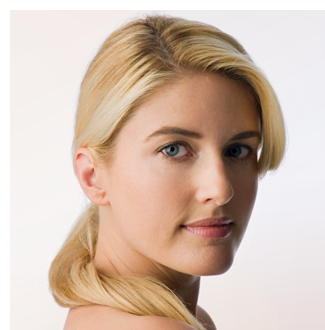 BOTOX injections result in smoother and younger looking skin in the face and neck area without invasive surgery. The injectable is inserted directly into the frown muscle or the wrinkle area. Within 24-72 hours the muscles will relax and the wrinkles and frown disappear. Although it takes merely a few minutes to administer, its effects last for a number of months (3-6 months). JUVEDERM® is an injectable gel that brings back the fullness that our skin has lost, producing volume and smoothing away facial wrinkles and folds in a natural manner. Juvederm is the first smooth-consistency HA gel (HA is a naturally hydrating substance called hyaluronic acid) and the only HA filler that's FDA approved to last - up to a year. Wrinkle correction with Juvederm is a quick, in-office procedure with immediate results and no downtime. Common side effects with Juvederm usually are mild or moderate. Ask your healthcare professional how to manage them. You can experience the benefits of Juvederm injectable gel in a quick, in-office procedure. Contact us for more information on this great procedure! Restylane® is a safe and natural cosmetic filler that corrects mild to deep facial wrinkles by restoring volume and fullness. It is known as the first and only filler made from non-animal based product. It causes no allergic reactions and can last up to twice as long as collagen. Restylane is injected in to the skin in tiny amounts with a very fine needle. The injected filler produces natural volume under the wrinkle, which is lifted up and smoothed out. Like our other injectables, Restylane is fast and safe procedure for men and women looking to smooth out lines and wrinkles in the face. Results are almost immediate. As we age, the damage of sun exposure, air pollutants, and problematic acne may result in our skin looking older than we actually are. Skin damage can be treated with a chemical peel, a non-invasive procedure intended to promote cell growth and produce smoother, clearer skin. A chemical peel is a treatment that uses a safe chemical solution to improve and smooth the texture of the face by removing its damaged outer layers. It is most helpful for those with facial blemishes, fine wrinkles and uneven skin pigmentation. Although chemical peel may be performed in conjunction with a facelift, it is not a substitute for such surgery, nor will it prevent or slow the aging process. A chemical peel is the most commonly performed facial plastic surgery procedure for cosmetic reasons such as to enhance your appearance, which, in turn, can improve your self-confidence. There are numerous types of chemical peels, however a consultation with our expert skin care staff will work to provide a custom formula to meet each patient's needs. Microdermabrasion is a non-invasive, non-surgical treatment that allows for new skin cells to emerge, leaving skin softer, smoother and younger looking. The process of cell renewal (exfoliation) is natural, but tends to slows with age and the polluting effects of the environment. Even removal of dead cells thickens the epidermis and increases the production of new skin cells along with the production of collagen and elastin. Blood, containing oxygen and nutrients, is drawn to the surface to feed and repair cells. The process of microdermabrasion is recommended as a series of at least six peels, conducted weekly in order to get a lasting effect. Contact Dr. Olson and his skin care team to help create a proper program with microdermabrasion.